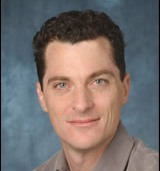 Derek Briggs is a professor of quantitative methods and policy analysis and chair of the Research and Evaluation Methodology program at the University of Colorado Boulder. Dr. Briggs’s long-term research agenda focuses upon building sound methodological approaches for the measurement and evaluation of growth in student learning. His daily agenda is to challenge conventional wisdom and methodological chicanery as they manifest themselves in educational research, policy and practice. He has a special interest in the use of learning progressions as a method for facilitating student-level inferences about growth, and helping to bridge the use of test scores for formative and summative purposes. Other interests include critical analyses of the statistical models used to make causal inferences about the effects of teachers, schools and other educational interventions on student achievement.